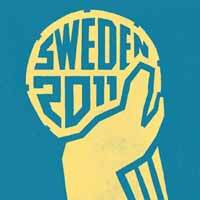 Seven teams make the first steps towards Sweden. Switzerland, Romania, Slovakia, Netherlands, Greece, Portugal and Lithuania go on to the Play-off (12/13 June and 19/20 June 2010). The Qualification Round took place over the weekend in seven groups. Some of these groups saw huge battle between teams that took part at previous major tournaments. In Group 2, Romania have beaten Bosnia Herzegovina by three goals taking the first place. Netherlands also had a difficult task against Estonia as in Group 4 only one goal decided the qualification. Greece have beaten Montenegro in Group 5, but the most dramatic game was a draw between 24-24 draw between FYR Macedonia and Lithuania. At the end the Lithuanians qualified with a better goal difference.